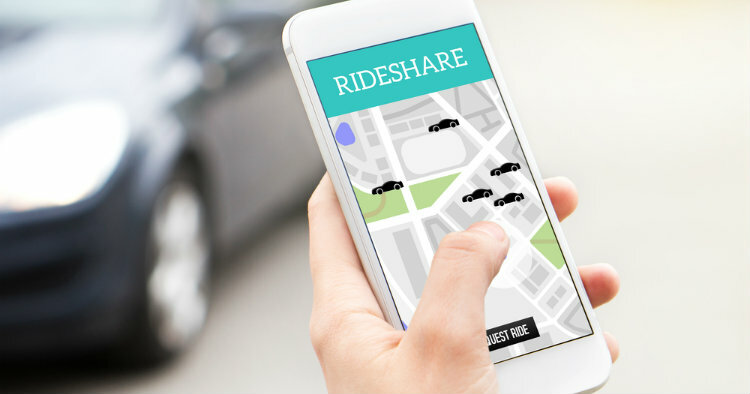 Ridesharing services are gaining popularity as an alternative way to get around. They make it easy to enjoy a night on the town, giving you a safer way to get home after having dinner and drinks with family and friends. They can help ease stress levels if you are traveling in an unfamiliar city, reduce the hassle of trying to find a parking space and offer affordable transportation options by eliminating parking fees and the cost of gas. There are studies showing that ride share services have even had a positive impact on alcohol-related accidents and deaths. If you are not familiar with Uber or Lyft, they are referred to as ridesharing services, giving you a convenient way to get to where you need to go while letting someone else do the driving, especially if you are in unfamiliar territory. Uber and Lyft, the top rideshare services, are basically smartphone-enabled taxi services. Many today may consider taxis a bit outdated and inconvenient. Ridesharing differs from a taxi in that you download an app to your phone. When you need a ride, you open the app, give them your location and destination. You receive a description of the vehicle and you can watch as the car progresses to your location all on your phone app. Check the license plate and the car make and model against the information displayed on your app. Make sure there is a match or don’t get in the vehicle. Ask for the driver’s name and make sure it’s a match with your Smartphone app. Stay alert so you can keep an eye on yourself, your friends, and your belongings. Keep a safe distance from the driver; sit in the back, not the front seat. Use the driver rating system to view scores and to provide feedback after the ride. Make sure if your teens use a ridesharing service that they send you a picture of the car and license plate. You can monitor the car with a Smartphone app. Talk with your teens to make sure he or she understands that the driver is a stranger and to be cautious around him or her. Recommend that your teen travel with friends or family; never alone. Get where you are going but stay safe at the same time. If you would like to receive news and blog updates, sign up to receive our email newsletter. Your email address will only be used to send you our newsletter and respond to inquiries.